Dashboards are unique to each user, but what if you've built a Dashboard that you want to share with a colleague or client? You can grant immediate access to your Dashboard, giving the other users on your account instant read-only access to the metrics and graphs that you've determined are most valuable to the health of your marketing campaign. Click the Report Settings button. Change the Make This Dashboard Visible To Others setting to Yes, but only in this Campaign. Once this has been selected, any user on your account with access to this Campaign will be able to choose your Dashboard from a drop-down menu at the top of the page. We'll remember the Dashboard your user was last viewing, so they'll never need to switch back to the Dashboard every time they log in. Pro-Tip: Every Raven account is allotted an unlimited number of read-only users. 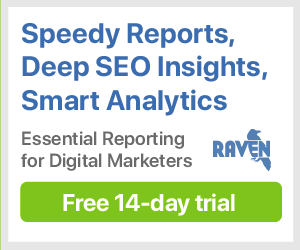 This is a great way to grant your clients' access to their marketing data — and the Dashboard you've built — without crossing your account usage limits. If you need to show your Dashboard to someone who doesn't have access to your Raven account, you can quickly publish a Dashboard, just like you can publish a Report. Click the Publishing Options button and select Publish Report to turn this Dashboard into a sharable HTML report. From there, you can export this report as a PDF. How do I change my Account Owner?